“All new ideas are combinations of old ideas, but not all idea combinations are created equal,” writes Frans Johannsen. 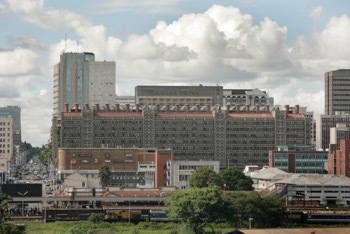 An HBR article by Johansson tells how Mick Pearce designed the Eastgate office building in Harare, Zimbabwe. He based it on techniques he observed termites employ to stabilize the internal temperature of their nests. Remarkably, the Eastgate maintains an ambient temperature between 73-78°F (23-26°C) despite variances in external temperatures from 58-88°F (14-31°C). And the building uses only 10% of the energy needed by a similar, airco cooled building. This concept has found its way into the class I was teaching about enterprises in the HiTech industry. I named it "fusion of fields". The demise of many companies in the technology sector is a dead proof that former success is poison. One such great example - Kodak.